Tag Archives for " Maui Mastermind "
So here’s the big question – you started a business, so do you own a business or did you create a hard, sometimes low-paying job? To me, the big distinction lies in your ability to successfully scale and get free from the daily demands of the business. Many businesses, even seemingly successful ones, plateau at the point where the owner can no longer keep their arms wrapped around every element of the business – the rainmaking, client serving, and financial controls either outgrow them or bury them. My guest for this week’s episode of the Duct Tape Marketing Podcast is David Finkel. 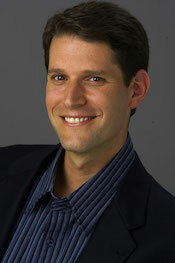 Finkel is the CEO of Maui Mastermind, one of the world’s premier business coaching companies. He is also the co-author of Scale: Seven Proven Principles to Grow Your Business and Get Your Life Back and Build a Business, Not a Job. He and I talk about best practices for scaling your business efficiently and effectively. If you want the short version – it’s systems, my friend. They will set you free! Finkel is an ex-Olympic level athlete turned serial entrepreneur and best-selling author. You could say he knows a thing or two about successfully growing a business. Over the past 20 years, Finkel and the other Maui coaches and advisors have personally started and scaled companies with an aggregate value of $63 billion. His weekly business owner e-letter is read by 100,000 business owners around the world and his syndicated business articles on Inc and the Huffington Post garner over 150,000 readers every year. What holds people back from scaling? How can people figure out their priorities? How can people free up time to get things done? Learn more about David Finkel and Maui Mastermind here. To buy Scale: Seven Proven Principles to Grow Your Business and Get Your Life Back, click here. Get your free copy of Build a Business, Not a Job here.